Body Scrubs are a wonderful, indulgent treat that make great gifts or a luxurious home spa treatment for yourself to wash away the stresses of life. 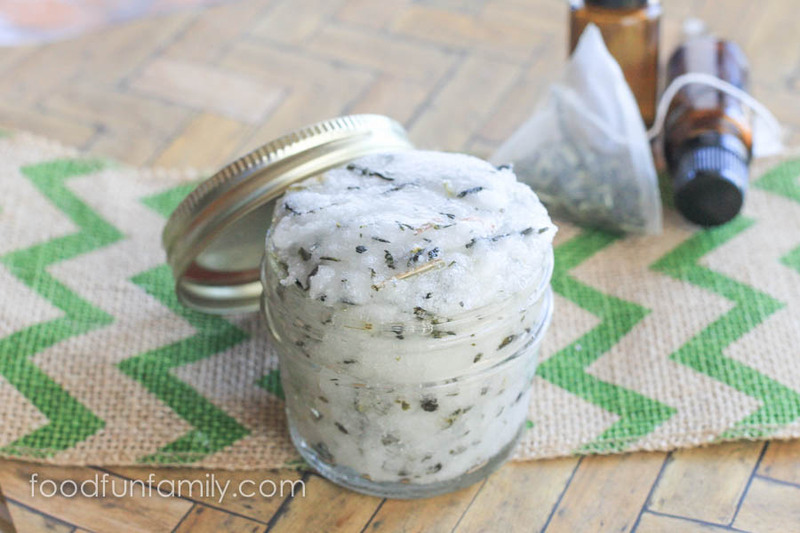 You can double or triple this Green Tea Sugar Scrub recipe to keep some for yourself and gift some to your friends. 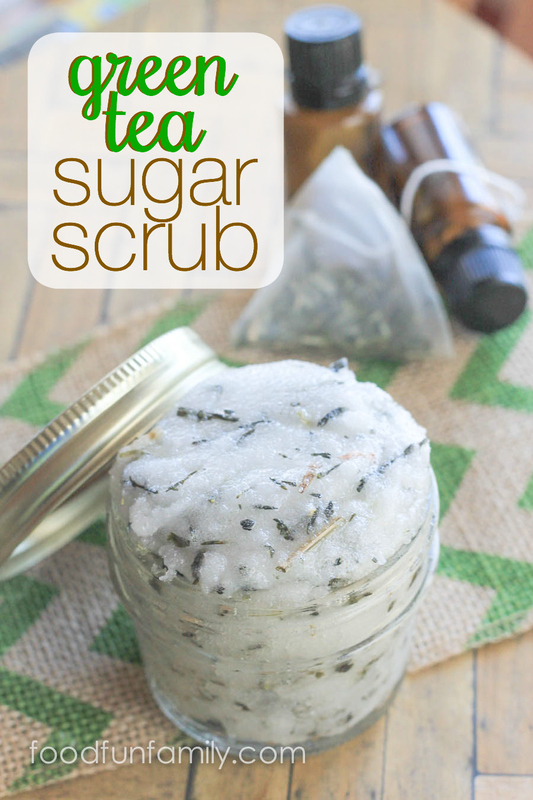 Use this sugar scrub on hands, feet, or anywhere on the body to slough off dead skin. It also cleans, moisturizes and softens, leaving a beautiful healthy glow to your skin. 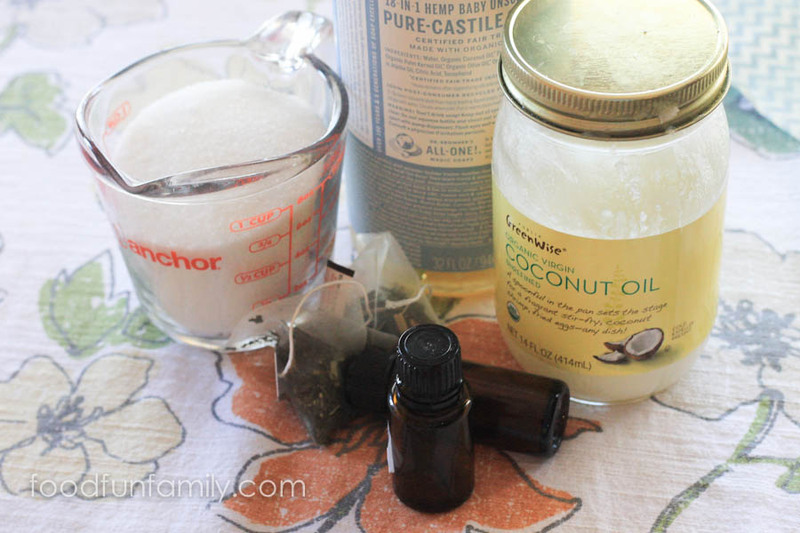 Simple pantry ingredients combine with unscented castille soap to create a mixture that rivals expensive store bought body scrubs – and what’s even better is that you know exactly what’s in it. Pure, natural ingredients. Note: Amazon affiliate links are used to give you an easy way to find the ingredients if you desire! Heat coconut oil in microwave safe container just until softened. Combine sugar, coconut oil, castille soap, and the contents of 2 to 3 tea bags in a medium bowl, stirring well to combine ingredients evenly. Transfer to an airtight glass jar. Add a handmade tag and ribbon to your jar if you will be giving it as a gift. Massage gently over damp skin – elbows, shoulders, feet, hands, etc. Rinse well before patting dry with a towel. 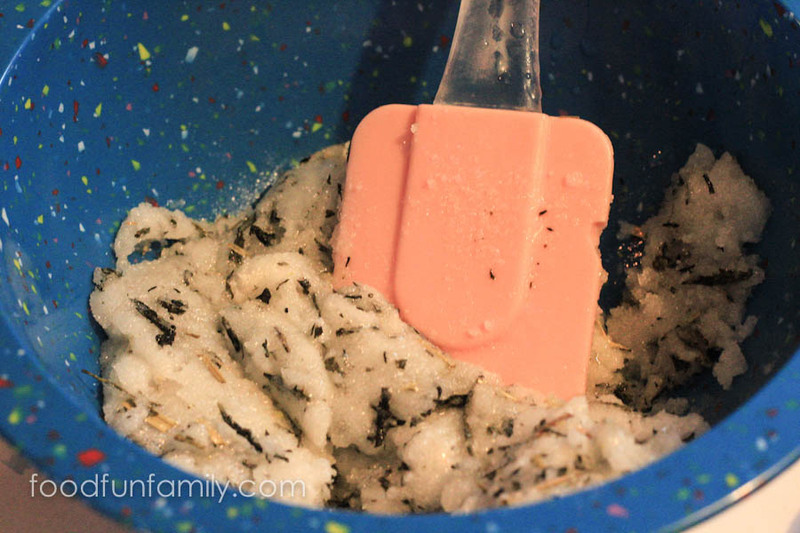 Use 2-3 times per week for soft, moisturized skin. Note: Oils can make shower floor slippery, so be sure to rinse well with hot water and wipe up the shower/bath floor with a towel if needed for safety. 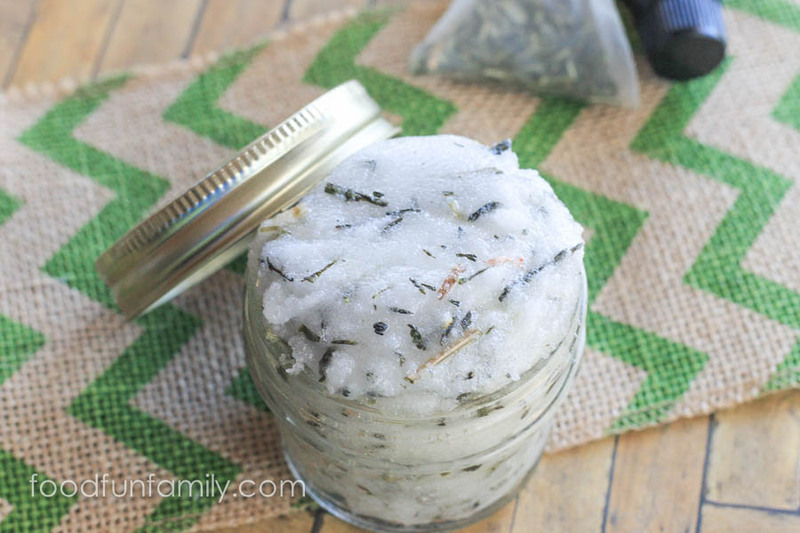 Bonus: You can add a few drops of your favorite essential oils to the sugar scrub if desired for extra scent (citrus scents like lemon and grapefruit pair really well with green tea). You’re welcome, and thanks so much for stopping by! :) I’m totally hooked on sugar scrubs now.